Back in December, Apple launched sales of their new high-end iMac Pro, which came in an exclusive Space Grey colour, along with its Magic Keyboard, Magic Trackpad 2 and Magic Mouse 2. These accessories weren’t available for standalone purchase, but as as of today, Apple quietly added them to their website, after the Apple Store went back online. 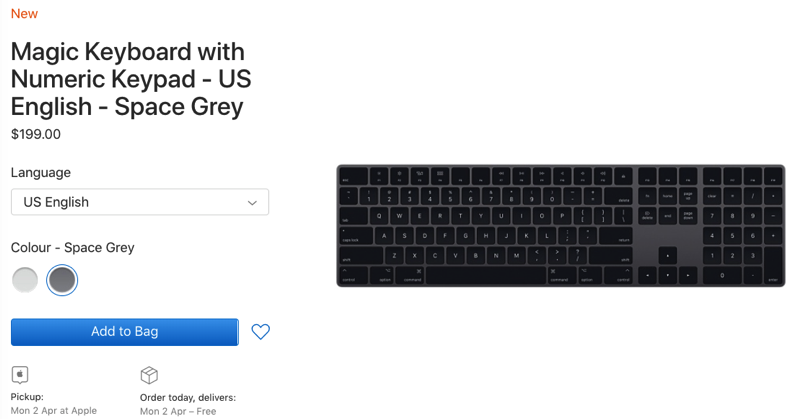 So in a nutshell, you’re looking at spending $530 CAD plus taxes to jump on these slick-looking Space Grey Mac accessories, which at one point, many believed were exclusive to iMac Pro (and probably spent a bunch to buy them off eBay). Anyone going to be jumping on these?